Every year, the Environmental Working Group sifts through the fruit and veggie market to find out which types of conventionally grown produce contain the most—and least—chemical pesticides. 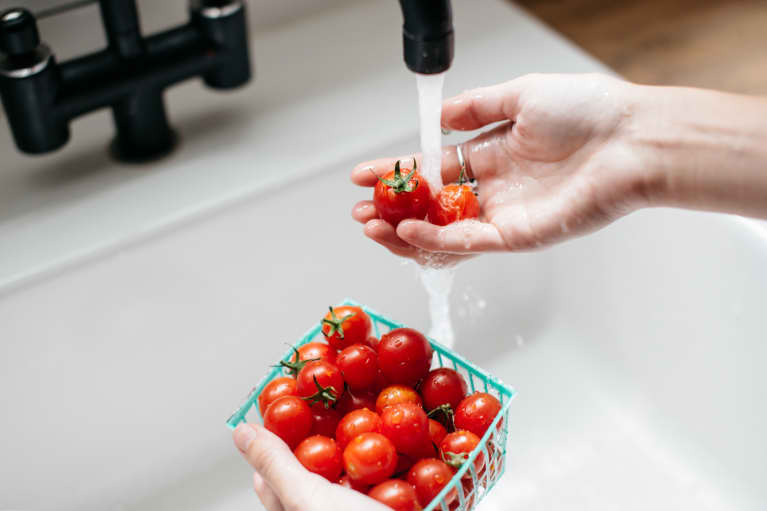 The 2018 report, released early this morning, found that nearly 70 percent of produce tested was contaminated with pesticide residues. According to the EWG’s research, strawberries, spinach, and nectarines were the worst offenders for the second year in a row. The average strawberry sampled tested positive for a whopping 20 different pesticides, and spinach had 1.8 times more pesticide residue by weight than any other crop. On the other end of the spectrum, avocados and sweet corn were the cleanest crops, with less than 1 percent of samples showing any detectable pesticides. Certain pesticides have been shown to have negative effects on human and environmental health, and the latest research out of Harvard University found that women undergoing fertility treatment who reported eating two or more servings per day of produce with higher pesticide residues were 26 percent less likely to have a successful pregnancy than ones who ate fewer servings. So if you’re reaching for anything on the Dirty Dozen list, it’s probably best to go for an organic version if it’s available, especially if you are pregnant or have kids. If you’re reaching for something with a thicker peel like avocado, corn on the cob, or pineapple, you’re probably OK with conventionally grown.